Looking for dog friendly Liverpool restaurants and bars? There’s nothing more heart-breaking as a dog owner than leaving your pooch at home while you head out to have fun. Luckily, Liverpool has always been a dog friendly city. There’s loads of bars and restaurants that welcome four-legged friends with water bowls, jars of treats and even the odd canine-based events. 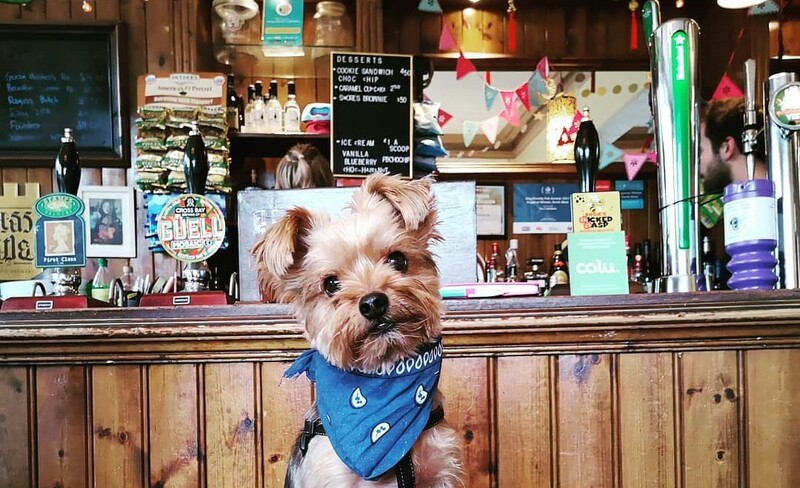 Whether you’re taking your pooch on a doggy date, or bringing them along for a pint out with the boys, we’ve put together a list of the best dog friendly Liverpool venues guaranteed to give your pup a scratch under the snout when you turn up at their door. 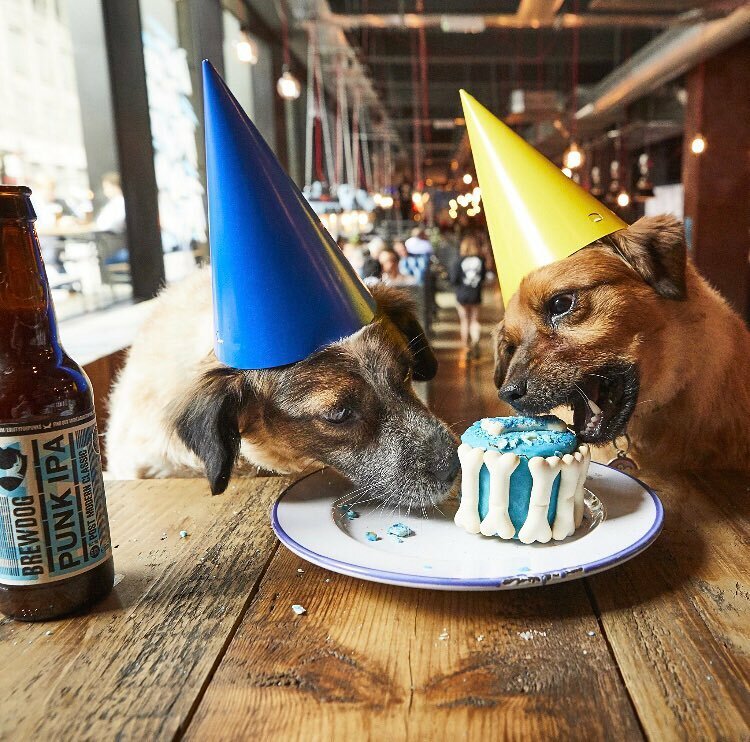 The Liverpool branch of Brewdog is canine friendly by name and nature. 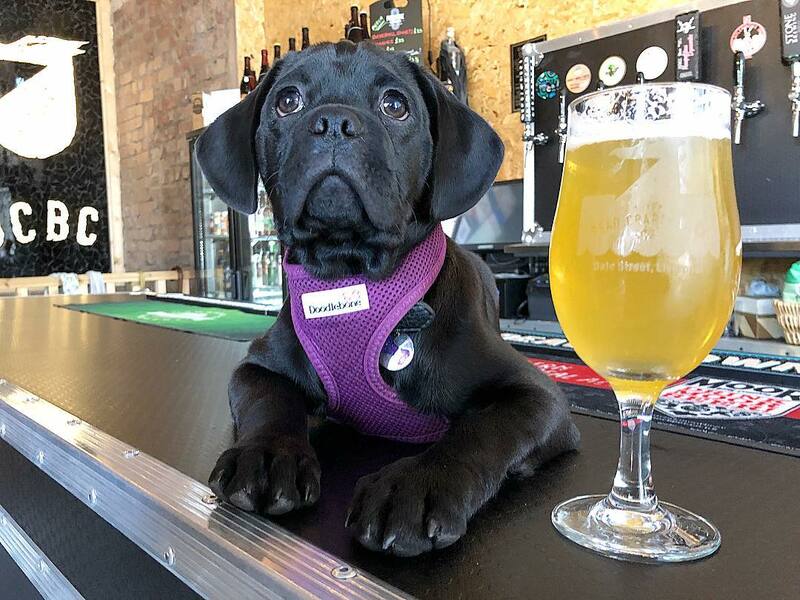 Serving dog-friendly beer alongside decidedly more alcoholic human beverages, pooches are not only allowed in Brewdog but welcomed with open arms! They’ve even started taking bookings for pup birthdays. For £5 per hound, your good boy is given a party hat and dog-safe pupcakes to celebrate their big day – and humans go free. Loudly proclaiming they are dog-friendly on their Facebook page, the Dead Crafty Beer Company comes equipped with water bowls and their very own special dog-treats. And if you’re stuck for a poo-bag, they also stock a few behind the bar! Check out their Facebook page for photos of cute canine visitors to the Dale Street venue. 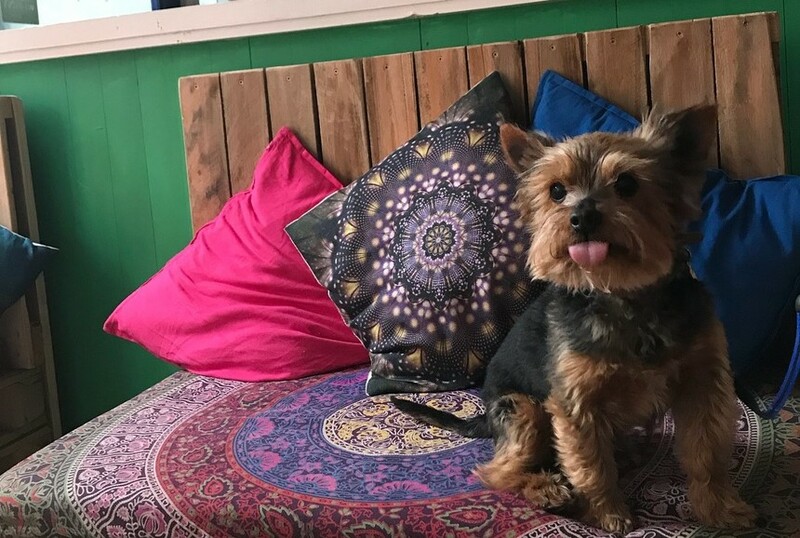 Head down to this luxurious cocktail bar on Lark Lane and introduce your pooch to resident pup Nelson, who loves a lap-cuddle with any customer who comes in. This newly opened cocktail, wine and champagne bar uses quality ingredients from around the world to create delicious, delectable concoctions, meaning you don’t have to give up a sophisticated night-out to enjoy a drink or two with your pooch. The new bar will also soon be serving cheeseboards and nibbles in future, as well as opening in the mornings for coffees, teas, pastries and cakes in a few months. 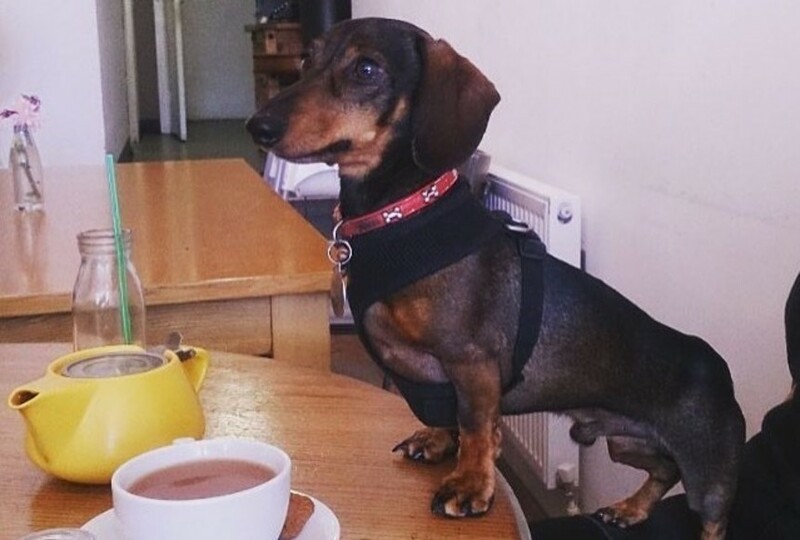 This dog friendly Liverpool restaurant in Old Swan is Liverpool’s first dedicated dog-based venue. It’s a haven of furriness for dog owners and their four-legged friends. The café includes an astro-turf gated garden for puppy play dates and even has a pawfect dog menu for lucky pooches. Canines can chose from pupcakes, bones and doggie meals while their owners tuck into breakfast, lunch or dinner. Treat your dog to a human-worthy meal at The Caledonia, who are only too happy to serve four-legged friends a burger or a bowl of stew. 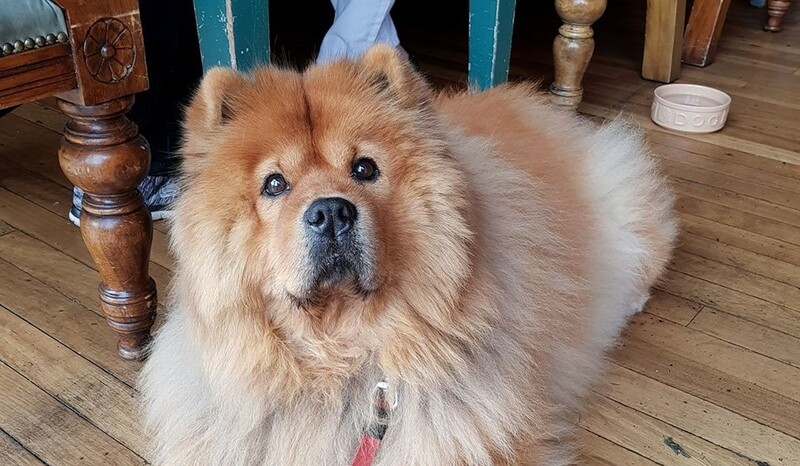 And if you’re lucky, your treasured pooch might even make the #calidotw (that’s Caledonia Dog of the Week) on Instagram, offering life advice to the pub’s followers. 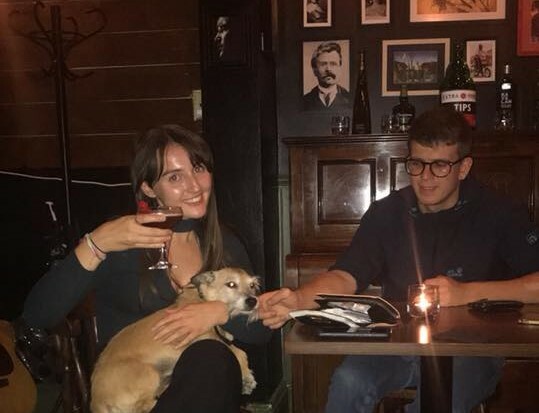 This well-known pub in Liverpool’s Georgian Quarter even has two resident dachshunds to help your pup feel right at home. The staff at this burrito shack on Smithdown are so obsessed with dogs that they’ve decided to start hosting a monthly film night with free popcorn and the option to bring along your pup. Kick-starting on 5 August, get down to the Tex-Mex haunt from 6pm for the film Coco (the same name as the bar’s resident dog). But even if you can’t make a film night, head down to the dog friendly Liverpool bar on a Friday, Saturday or Sunday and order off the breakfast menu to receive a free doggie breakfast for the furry friend at your feet! 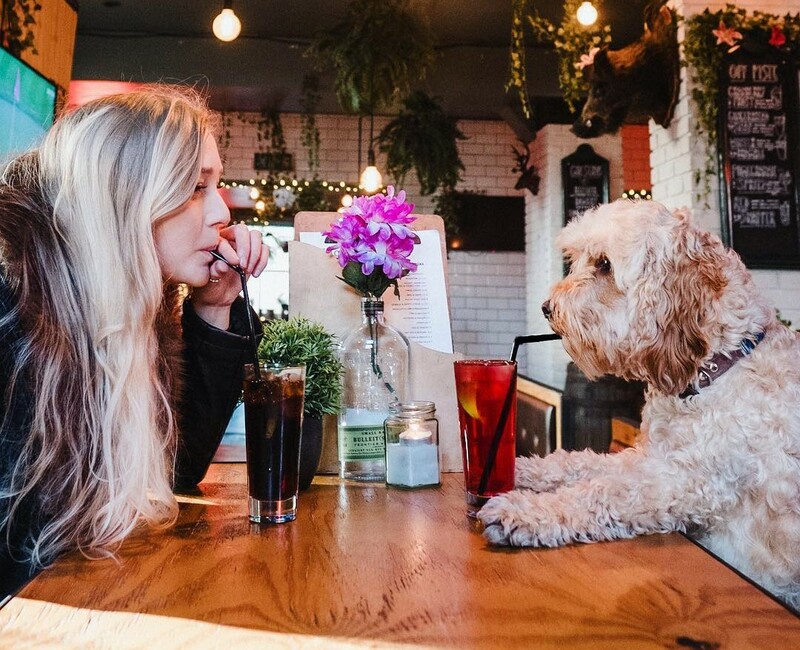 The Baltic Market has been a dog friendly Liverpool haven since it opened, with many a famous pooch of Instagram posing for shots in its aesthetically pleasing interiors. The market, set up by the masterminds behind Independent Liverpool, even hosts dress-up events for dogs, with the most recent costume fun being a Dogs of the Caribbean day. 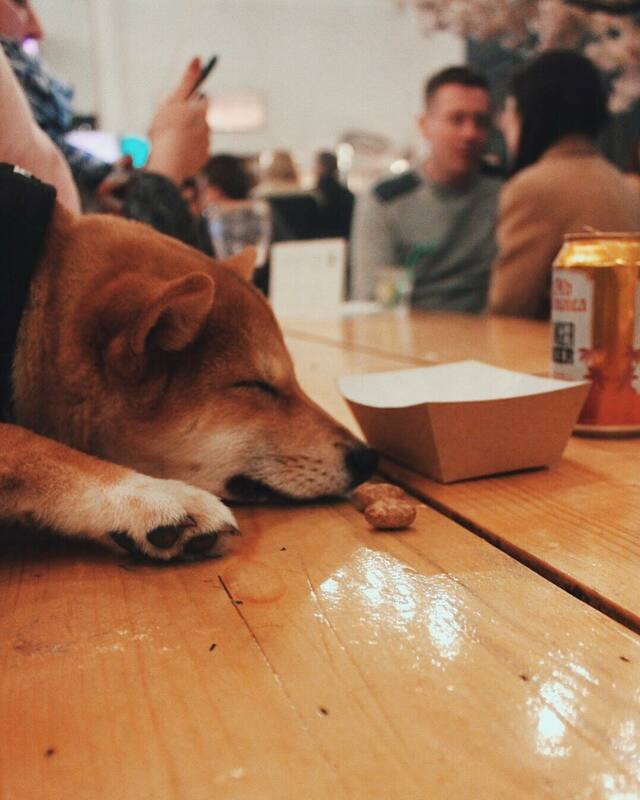 Attendees indulged in a dog market selling treats, food and drinks for lucky pooches. You’d expect this café to be welcoming to dogs, given that it’s situated next to a boutique dog groomers. Luckily, it lives up to those expectations. The staff at this small, stylish coffee shop near to L1 are more than happy for dogs of all shapes and sizes to sit inside. Water is available for four-legged friends, usually served with a chin scratch. Plus, if your pup is lucky they might even be slid a little bit of bacon to nibble. Thought there was only one pup-friendly cinema night a month in Liverpool? You thought wrong! At HUS on Tithebarn Street they also run a film-night, headed up by resident pup Arthur (who has a penchant for wooly jumpers). And if your labrador isn’t a film buff, well-behaved dogs on leads are welcome at any time of day. This family-run restaurant in Liverpool’s Georgian Quarter serves European cuisine throughout the day. From delicious brunches, to decadent lunches, its beautiful street-side location and Parisian-vibe makes it a popular coffee spot in the city. And it’s pawfect for pooches as well, with plenty of outdoors tables (although they’re also allowed inside), exciting people-watching opportunities from the floor to ceiling windows and water available on request for thirsty dogs. 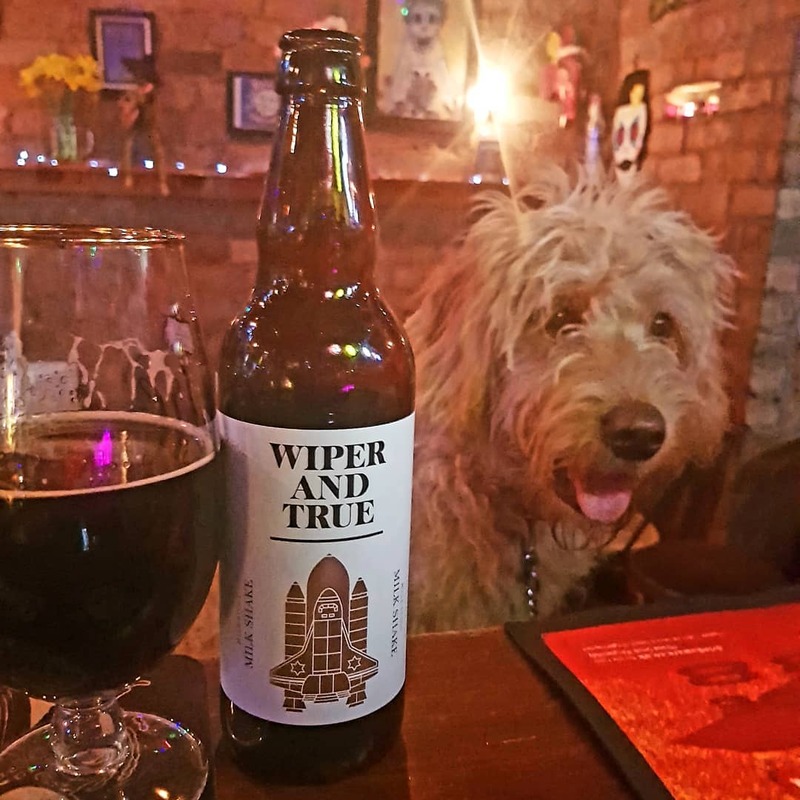 A popular haunt for insta-famous Scouse cockapoo Marley, dog friendly Liverpool Love & Rockets on Lark Lane is a bar and restaurant where four-legged friends are very welcome. Serving craft ales, tequila by the bucket-load and plenty of pizza, nachos and hot-dogs, the humans will be as happy as the pooches. Plus, with regular music sessions, you can finally fulfill your dreams of dancing with your dog outside of the sitting room. The beautiful windows of Milo Lounge, on Lark Lane, make this groovy little neighborhood cafe the perfect place for your pooch to watch the world go by while you enjoy a delicious lunch. If you head to the bohemian hang-out in the summer months, lucky dogs will be able to enjoy a cool breeze, as they open the windows to the elements on warmer days. 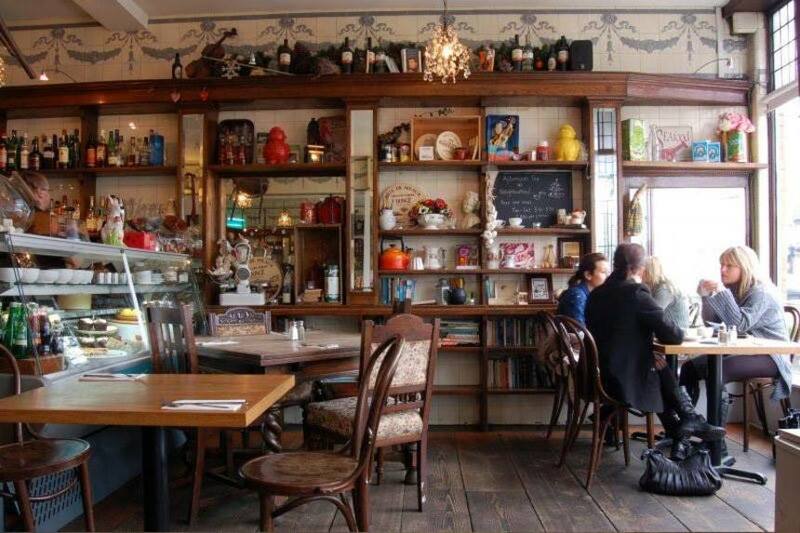 Why not head here after a dog-walk around Sefton Park? 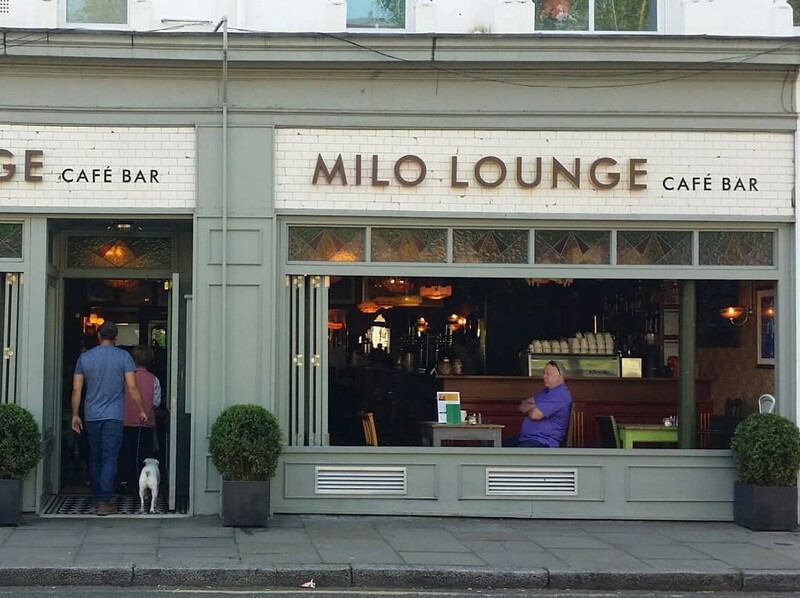 The staff at Milo Lounge will happily provide your pup with a big bowl of water while you enjoy a coffee. 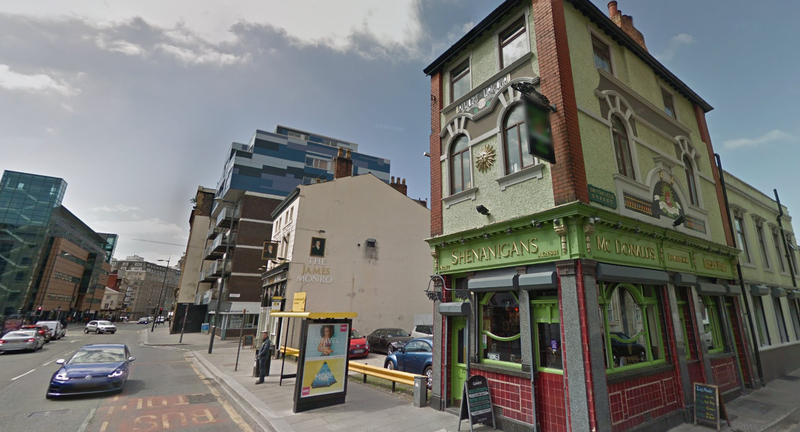 Head up to the Moorfields area of Liverpool and you’ll find Shenanigans perched precariously on a side-street. They might not have treats behind the counter, but they definitely don’t mind you bringing a pooch into this friendly Irish pub which claims to serve the best Guinness in Liverpool. It might be closing soon, but there’s still time to take your favourite pup to one of the Baltic’s first venues. 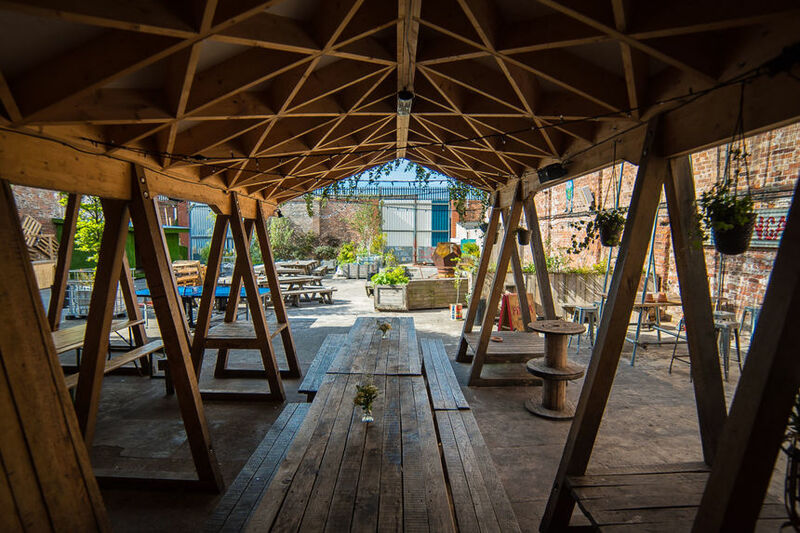 With its large beer garden (and covered seating), Constellations offers delicious weekend brunches and the fabulous Roasts & Records fair on Sundays. 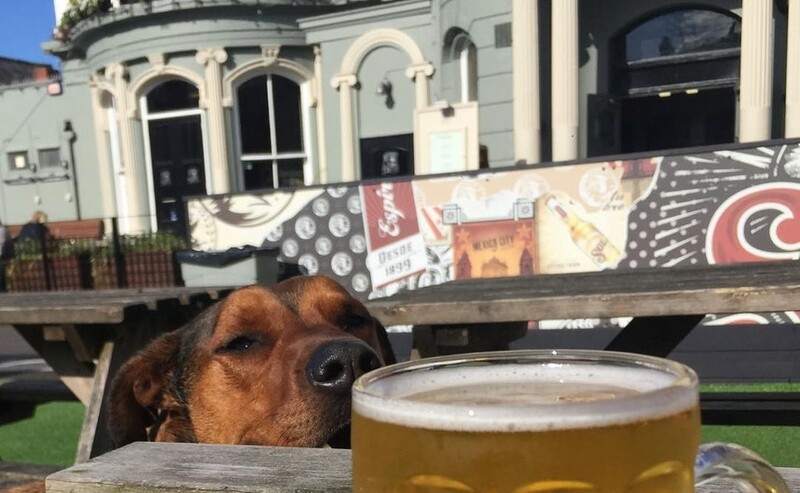 Plus, with its bar serving craft beers, winter-warmer cocktails and local spirits, its the perfect venue to take your four-legged friend for a drink and a cuddle in the late autumn sunshine. Ask behind the bar for a water bowl at the Dovedale Towers and they’ll be more than happy to give your pooch a drink. Located on the famous Penny Lane, this is the perfect pub to take student parents to if they come up for a visit with a dog in tow. With it’s large beer garden, and spacious indoor bar, there’s little chance of anyone stepping on Fido’s tail, either. 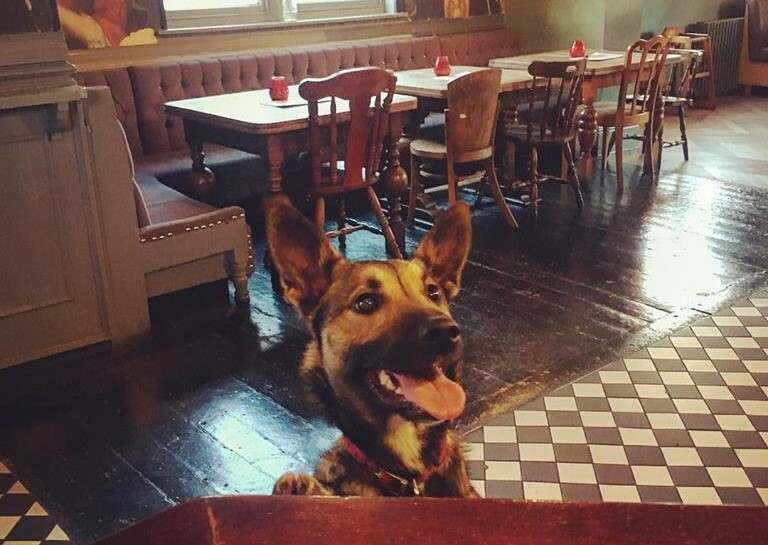 Make sure you step into the right bar at The Lodge if you’re looking for a dog friendly pub on Liverpool’s Lark Lane. This large public house is divided into two sections and four-legged friends are only allowed in one half. Head for the right-hand side of the bar to ensure no pooches are kicked out onto the curb! Take your dog for a taste of the Balearic at Liverpool’s first Ibizan-inspired cocktail and tapas bar on Back Colquitt Street. Tucked behind the Arthouse Hotel, this eclectically furnished restaurant offers plenty of sangria and delectable Spanish bar snacks to transport you to the sunshine island. And they’ll also make sure your pampered pooch is catered for with a selection of dog treats on stand-by. Cain’s Brewery Village isn’t all about the Baltic Market: head to independent bar and restaurant Tusk for veggie, vegan and meaty dishes from their vibrantly painted converted warehouse. Look out for their ‘Pooch Parties’ – free pooch-focused events for dog-mad owners. 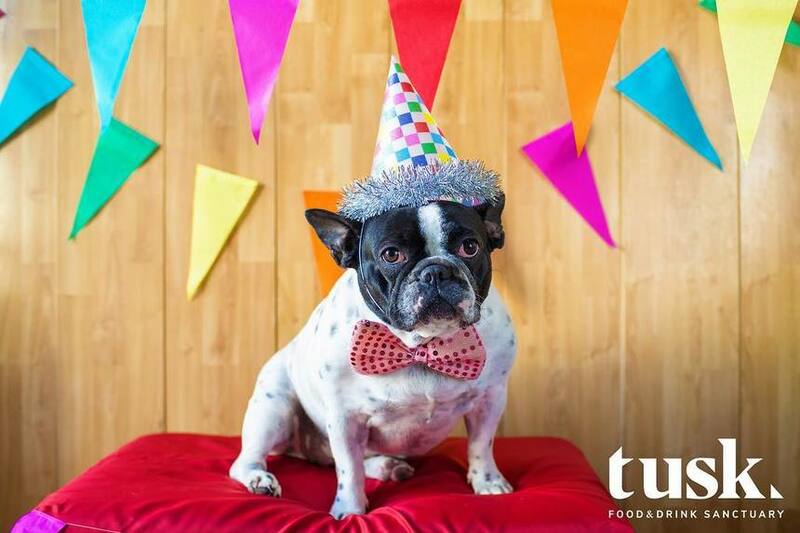 With opportunities to get doggy treats, delicious food, pooch accessories and even portraits taken of your four-legged friends, Tusk’s pooch parties are the perfect puppy socialising meet-ups and a great day out for older good boys! Complimentary tennis balls are also provided. Good news! One of Liverpool city centre’s most popular night-time haunts is now dog-friendly before 5pm. So now you can enjoy all your favourite revolution cocktails as an early evening tipple with your best friend by your side at Revolution on St Peter’s Square. 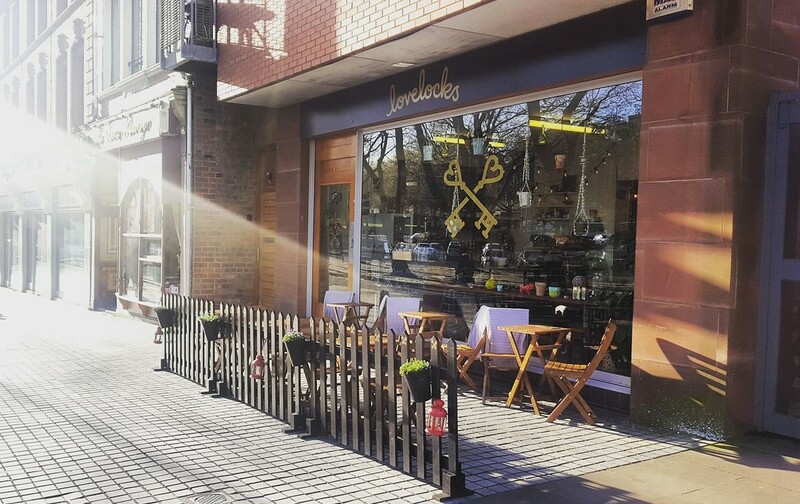 For a freshly-brewed coffee and a delicious breakfast made with care, head to the business district’s Lovelocks Coffee Shop. 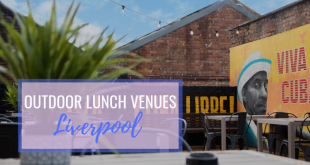 Dogs are definitely welcome (just check out their Facebook photos) and they serve a delicious selection of lunchtime dishes for you to enjoy with your four-legged friend (who might be offered some Liverpool Barkery snacks). Oh, and they once held a a Pugs ‘n’ Pals event in the coffee shop. This small coffee shop on the corner of Hardman Street and Hope Street is Liverpool’s only micro-roastry and cafe rolled into one. 92 Degrees Coffee prepares its own beans on-site and has more than enough comfy old sofas for you and your pooch to snuggle on during a morning coffee stop. With delectable bakes and delicious hot drinks, there’s also the chance your four-legged friend might end up on their Instagram feed. That’s what happened to Enzo, above. 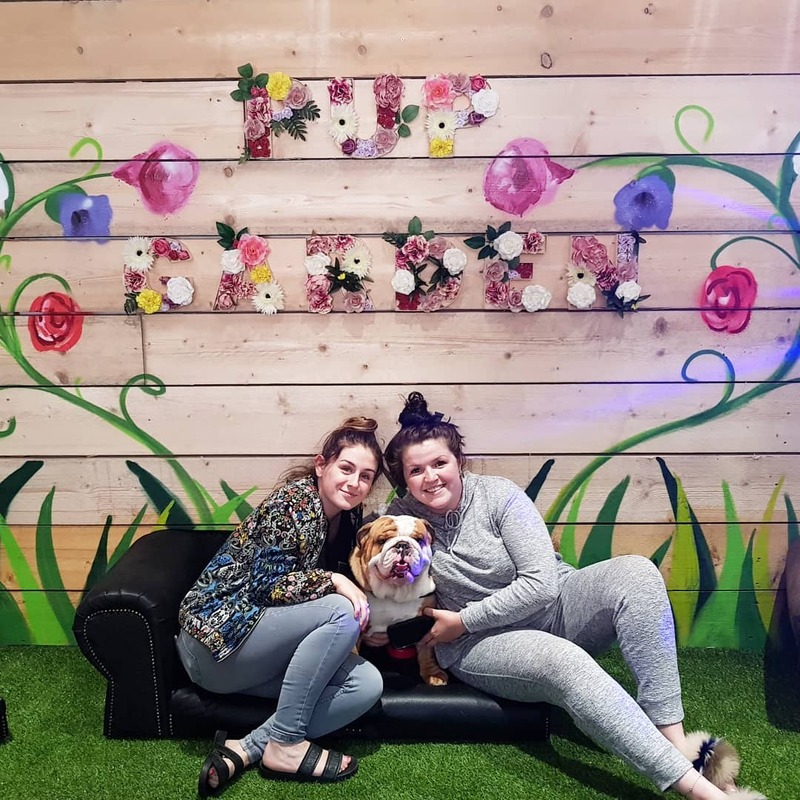 South Liverpool’s chicest cafe on Smithdown Road is another dog friendly Liverpool venue were you’re likely to spot a whole host of insta-famous pampered pooches taking a break from their busy digital lives. 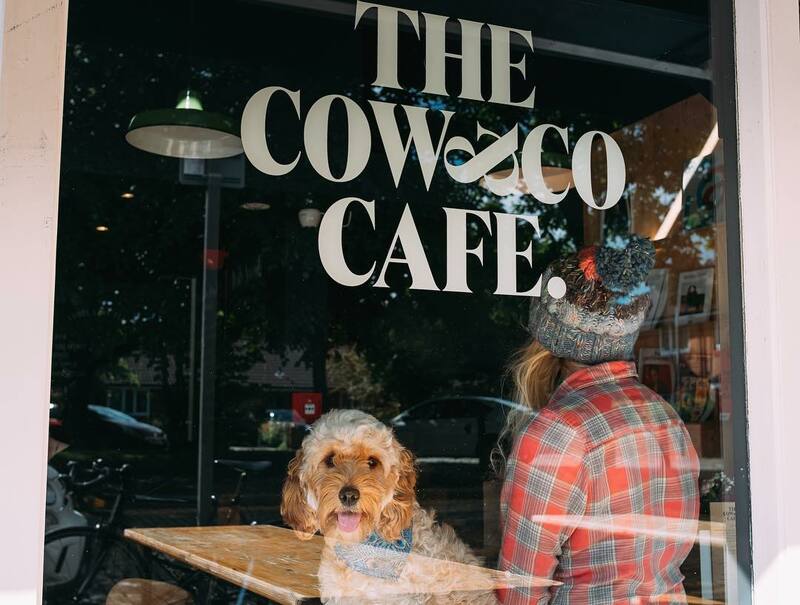 Serving delicious brunches, delectable lunches and some fabulous evening drinks and meals, this all-day co-operative cafe has great glass windows perfect for people (and pooch watching) whatever the time of day. Head to the leafy suburb of Childwall and it’s local Neighbourhood Cafe for delicious seasonal dishes, yummy bakes and a variety of drinks including milkshakes, fresh juices, coffees and even Sunday cocktails. Stoically dog friendly, your own Fido will feel right at home. There’s even rumours of some dog treats hanging around. For vegan dog lovers, Duke Street’s Down the Hatch offers a haven of plant-based junk food and four-legged friends galore. From seitan burgers to fried cauliflower, fulfill all your deep south American diner dreams without the animal products and reduce the risk of your pooch nicking some meat from your plate (they’re less keen on vegan food). 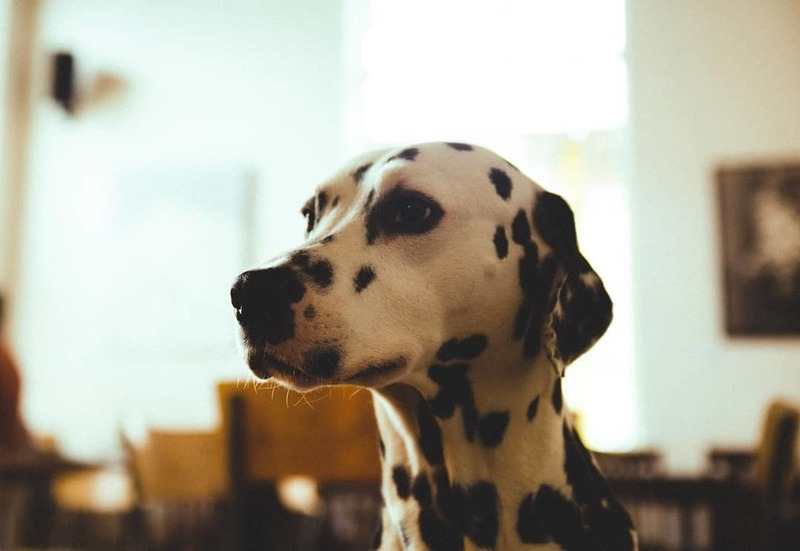 The sister venue of Milo Lounge on Lark Lane, Brasco is a great early morning stop if you’re exploring the beautiful Albert Dock and waterfront with your four-legged friend. 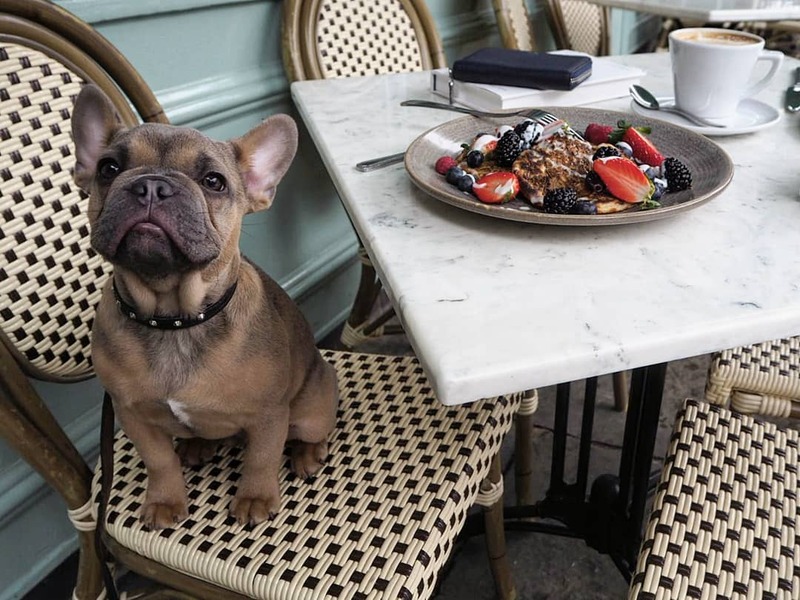 Enjoy a delicious breakfast with a waterfront view from their outdoor terrace as your pooch indulges in the sights and sounds of the city next to you. Brasco’s extensive brunch menu includes all the classics as well as some interesting twists (try the delectable Boston Barbecue Beans with peppers, tomatoes, hash browns and an egg) so you can fuel up on their freshly prepared food before heading out to enjoy some of Liverpool’s best tourist attractions with your pooch. Smithdown Road’s first foray into fine dining offers you and your pooch the opportunity to enjoy a critically acclaimed menu together, whatever the time of day. 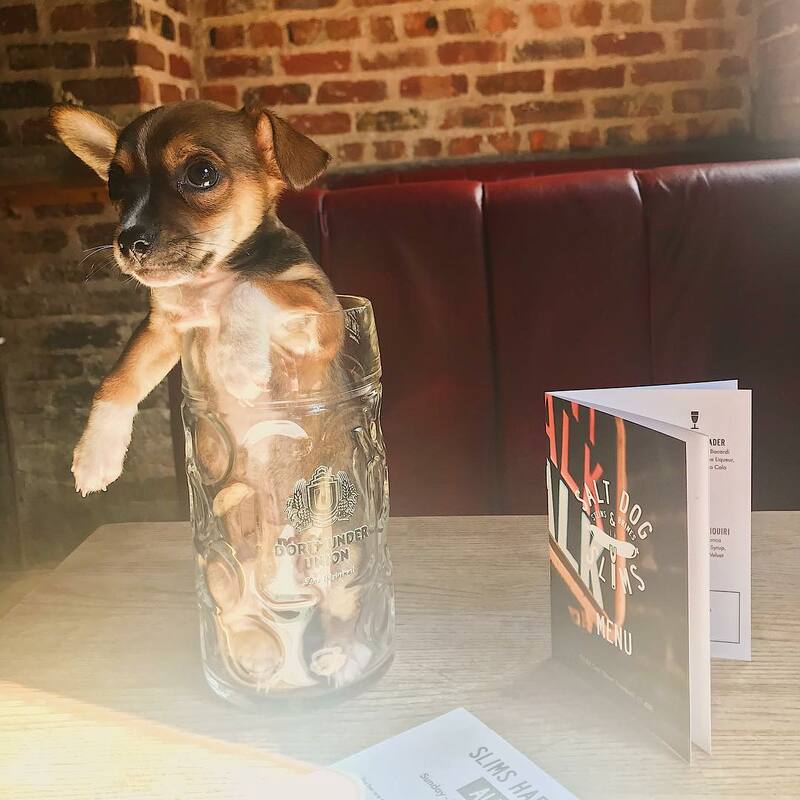 Belzan has won praise from industry giants including The Guardian’s Grace Dent, who complimented its dog-friendly vibe alongside saying that “Belzan pulls off a rare thing that many restaurants try and fail to do: being relaxed as hell, but also a little challenging, too”. 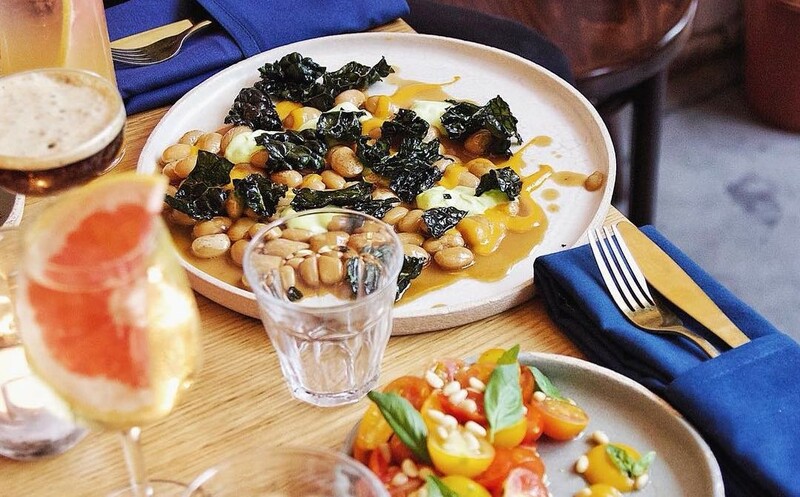 The seasonal, and regularly shifting, menu includes exciting dishes such as Smoked eele with a crayfish emulsion, black pudding and parsley oil and the much-loved butter beans in a beef dashi with parsley crema. And the best bit? 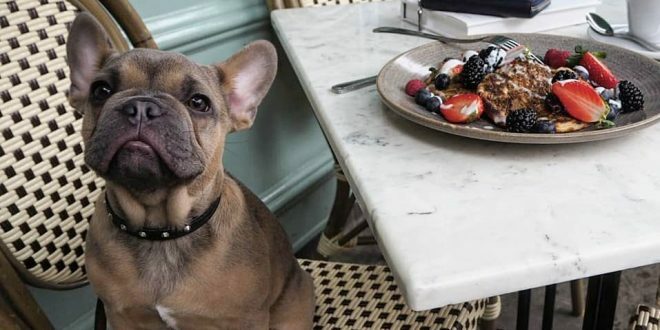 They’re also open for brunch and lunch, meaning you can get your fix of delectable cocktails and delicious dishes at every hour of the day with your pampered pooch. 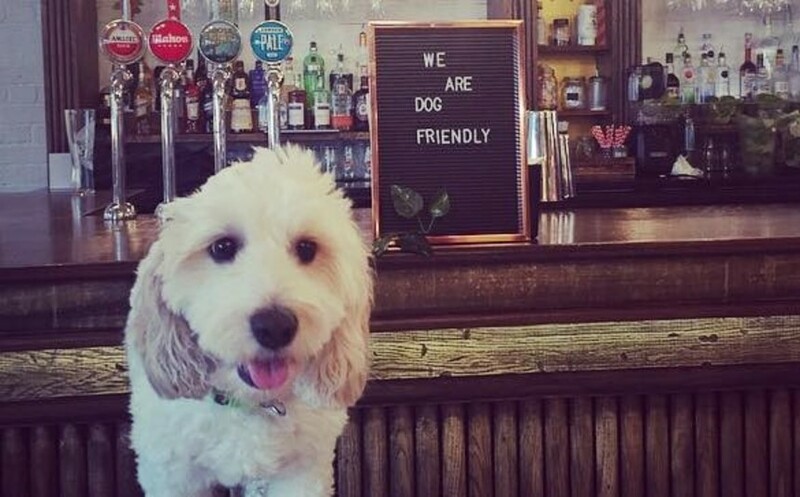 Alongside these super dog friendly Liverpool venues, there’s lots more pubs, bars and restaurants in the city who don’t mind you popping in with your pooch. 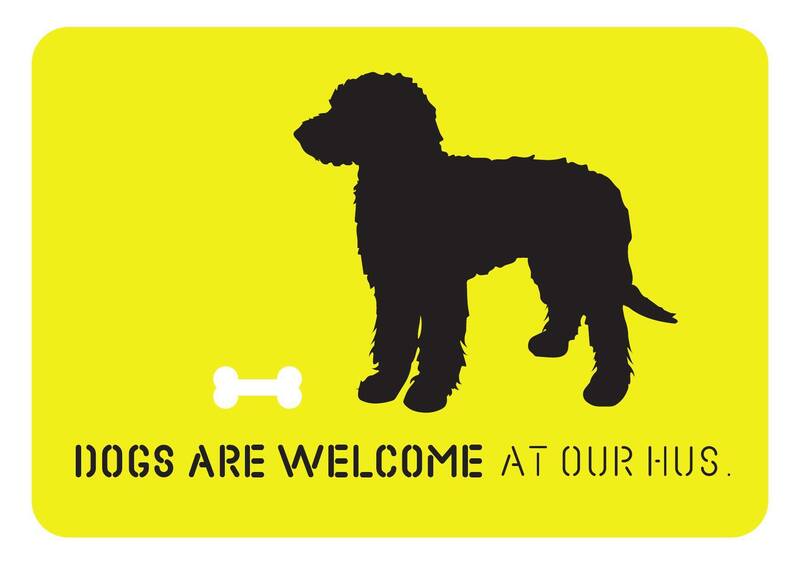 They might not offer your four-legged friend a jar of snacks, but we’re certain staff will still greet your dog with a warm welcome and a head-scratch. Other dog friendly Liverpool venues included, the Ship & Mitre on Dale Street, Peter Kavanagh’s on Egerton Street, the Baltic Fleet on Three Acre Road, Ye Cracke on Rice Street and the Pig & Whistle on Covent Garden. Wishing you had more doggie-cuteness in your life after checking out these dog friendly Liverpool venues? Why not check out which Dogs of Liverpool You Need to be Following on Instagram? There’s loads going on in Liverpool this month – read our What’s On August Guide for a top pick of the best events in the city (some of them are even dog-friendly).